I spent Christmas and New Year 2015/16 in South Africa. While I was there, I made it my business to visit Hope on Hopkins - Cape Town's first micro-distillery started by long ago college friends, Lucy and Leigh. 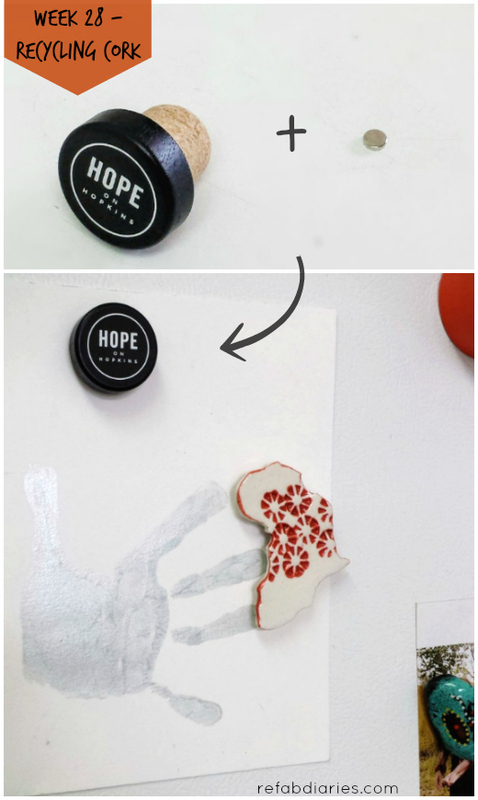 Their story, and the story behind Hope on Hopkins, is a lovely one. When I visited, they'd been up and running for about 6 months. Being with them in their space, tasting what they make and soaking up the accomplishment of the whole thing was really inspiring. 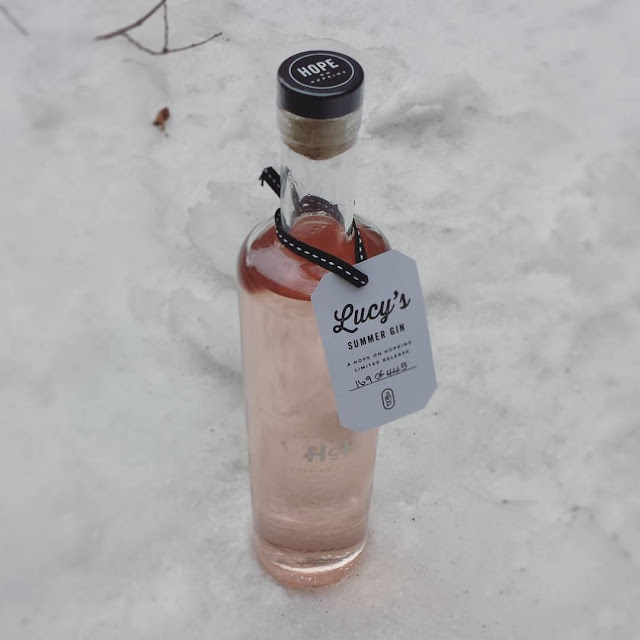 Lucy had produced a limited edition summer gin and that my biggest buy of the trip - I wanted to bring a little hand-crafted, bottled, summery hope back to Chicago's frozen winter. Fast forward 6 months. The bottle is empty and now holding wire protea. 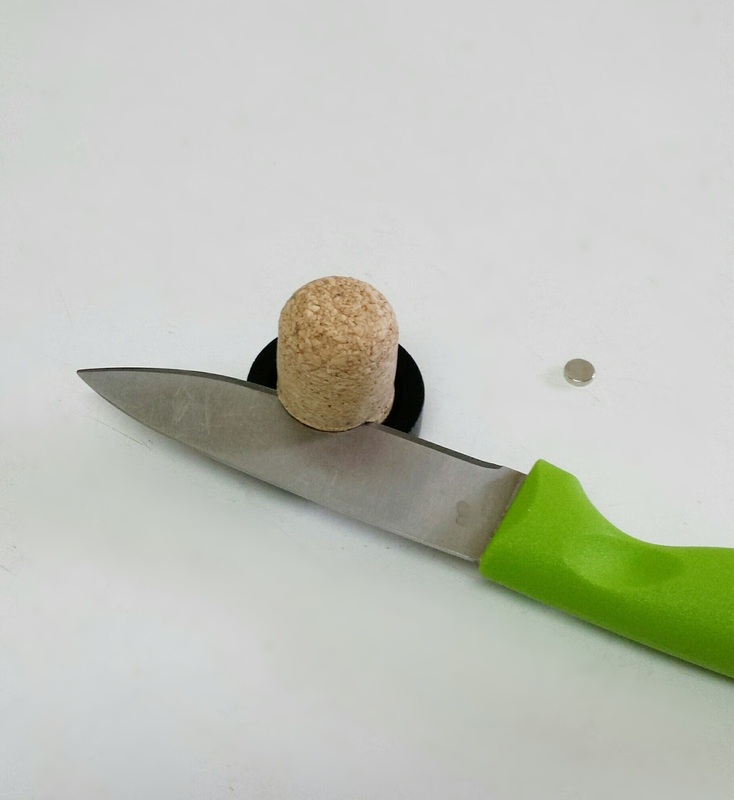 What to do with the cork? I don't drink wine so I don't have a stash of corks. If I did, I might have dropped this one off with the rest of them. There are two organizations (that I can find) that recycle cork. 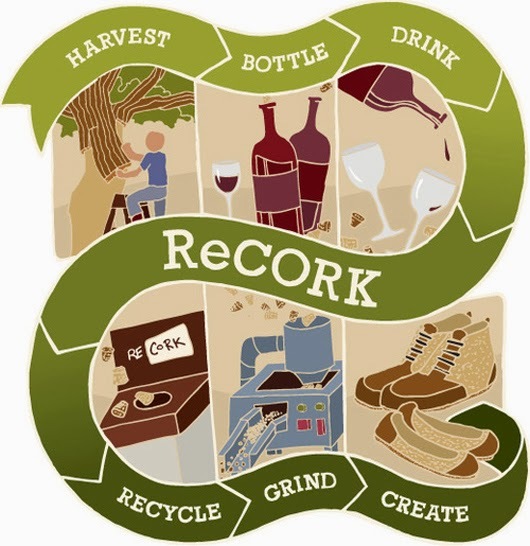 ReCork and Cork ReHarvest. They both have lots of drop-off locations across the US (and around the world) and it's worth making the effort. Did you know cork is a renewable resource? Properly harvested cork trees replace what's taken from them in about 7 years. And those that are harvested actually live more than twice as long as trees that are never touched. 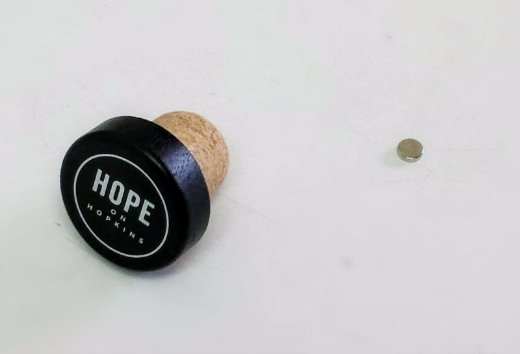 On top of all that, the material they create is incredibly durable and has potential far beyond your wine cork. So it's worth recycling. What I decided to do instead was upcycle. In talking about the distillery, Lucy had mentioned how expensive their bottles are. They're high quality and have to be imported. As I looked at this little stopper, I realized that the top is wood. And since I love the simplicity of the logo design, it was suddenly obvious that I should turn it into a little souvenir fridge magnet. 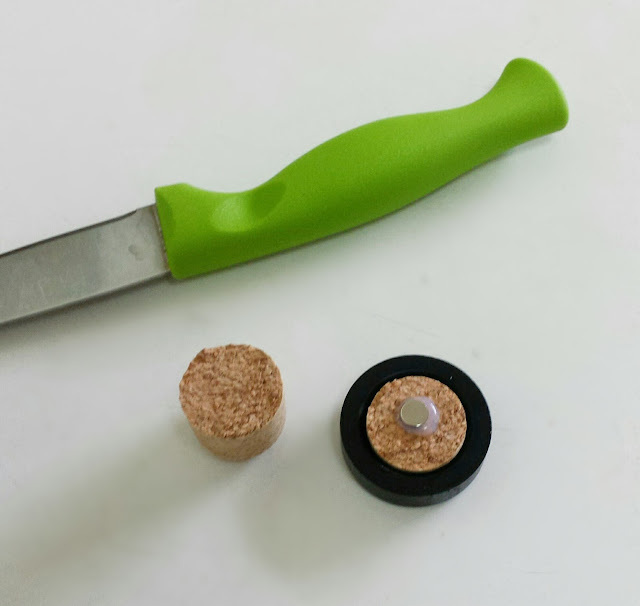 So I sliced off the cork and used a spot of superglue to attach a powerful little magnet. 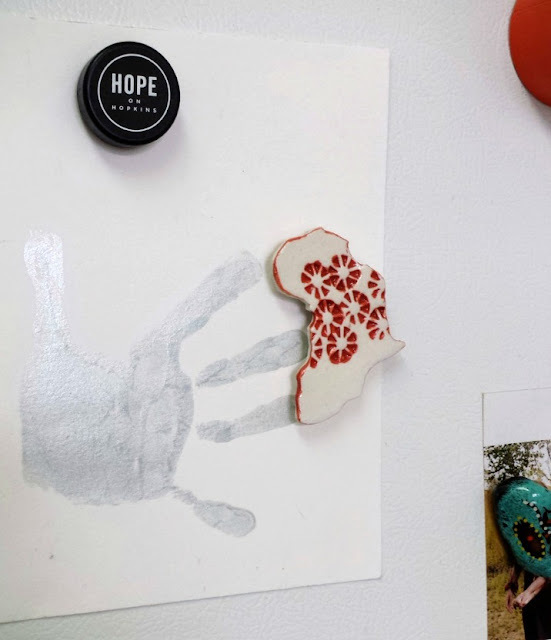 But now it's on the fridge with my other sentimental magnets.